Well, there’s a whole bunch of Christmas knitting going on here at my house. I just finished a custom order for a customer/friend for Christmas. Many of the projects at the front of the line are hopefully going to be for Christmas. As I sat down to write this post I was not entirely sure what I would write about but as I was scrolling through Instagram I was inspired by a post from HandsOccupied. She shared a free pattern which is the first of her 12 Ornaments of Christmas and the first one is a cute star (check it out here). I’m totally making one of these soon and can’t wait to see the rest of the ornaments. I love quick, easy projects like this! Anyway, it got me thinking so I did a quick search on Ravelry to find some other awesome holiday projects. I put together a bundle on my Ravelry page so check it out here. All of the patterns I chose are very Christmas themed and most are smaller projects but I have a few larger, more ambitious projects. I think it’s clear that Christmas really brings out my love of Scandinavian knitting. Something about the holiday just calls for all the awesome red, white patterns that are found in those patterns. I like to be able to have some quick knits that I can give as gifts when needed. They are super handy to have on hand or something that can be knit up quick if the need for a last minute gift arises. I hope this inspires some holiday knitting!! Do you know about creating a bundle on Ravelry? This was the first time I created one and I think I enjoy the function. Basically, when you add a pattern to a favorite you can also add it to a bundle. It cuts down on some of the scanning through all the favorites to find that one baby pattern or whatever you may be looking for. I think I may create some more the next time I fall down the Ravelry rabbit hole. Happy holiday knitting to all! 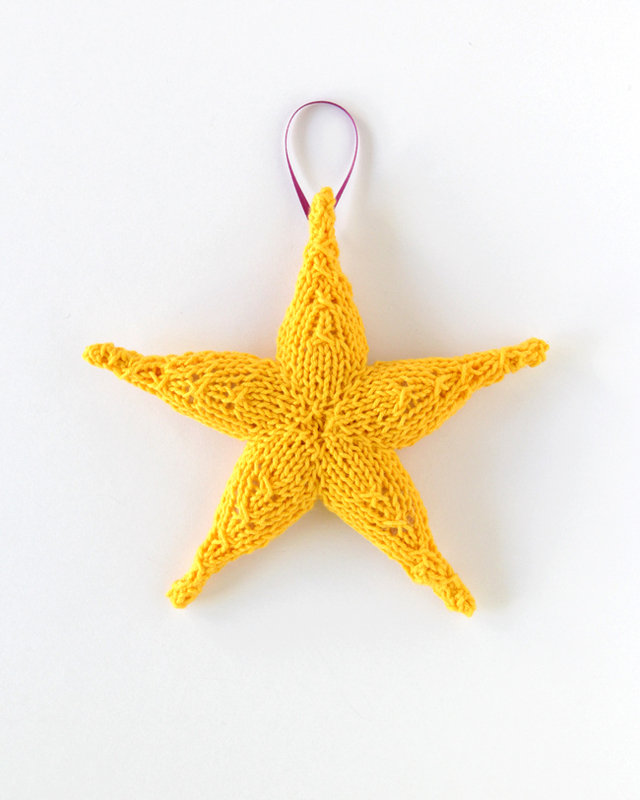 I saw some cute knitted star ornaments on Pinterest I wouldn’t mind knitting up…we’ll see if I get there! The star pattern is still sitting on my table so I understand!